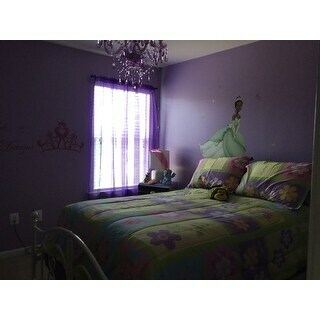 Decorate your home with this beautiful chandelier. 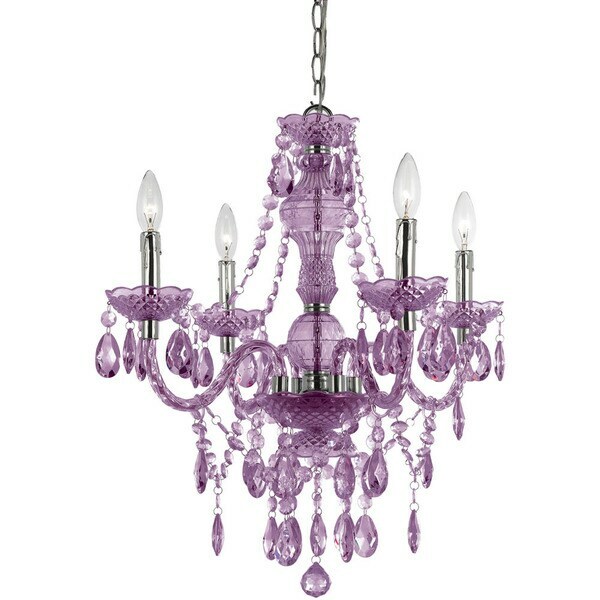 Made of plastic, this chandelier comes in purple to complement your home decor. The AF Lighting 8353-4H Naples 4-light Mini Chandelier is great to use in any decor to bring that pop of color and fun crafted in cut plastic the 4-light mini. Part of the Elements series, it comes with a swag kit, and it can also be hardwired if needed. Dripping with lots of teardrops and beads making this a fun item in your decor. Due to handcrafting, no two are alike. Poly fabric clip on shades (8528-4S) in white sold separately. Some assembly required. "can this be used with LEDs?" "What is the height of this chandelier "
Dimensions are	23 H x 21 L x 21 W.